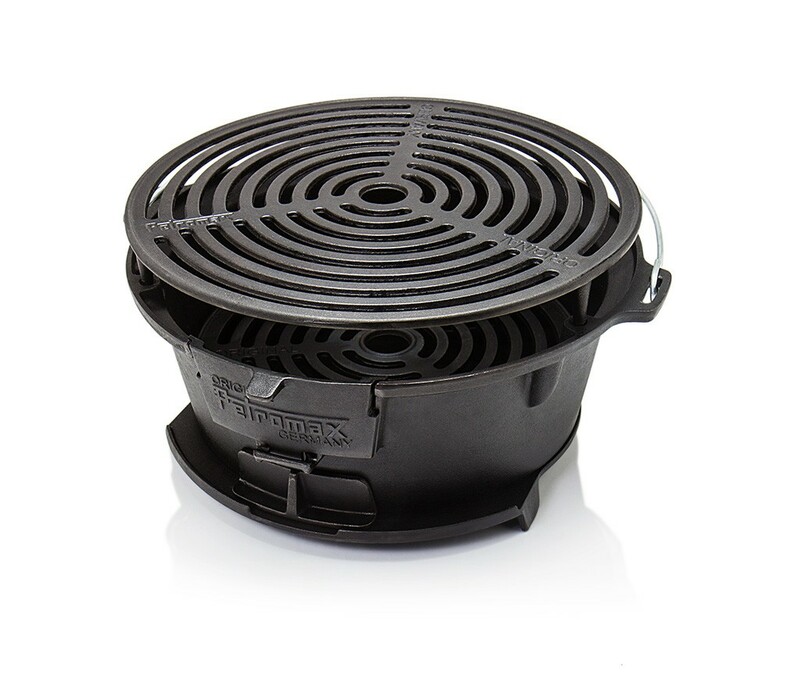 Petromax Fire Barbecue Grill tg3: the cast-iron grill and hotplate with adjustable grill grate. 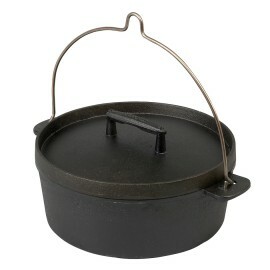 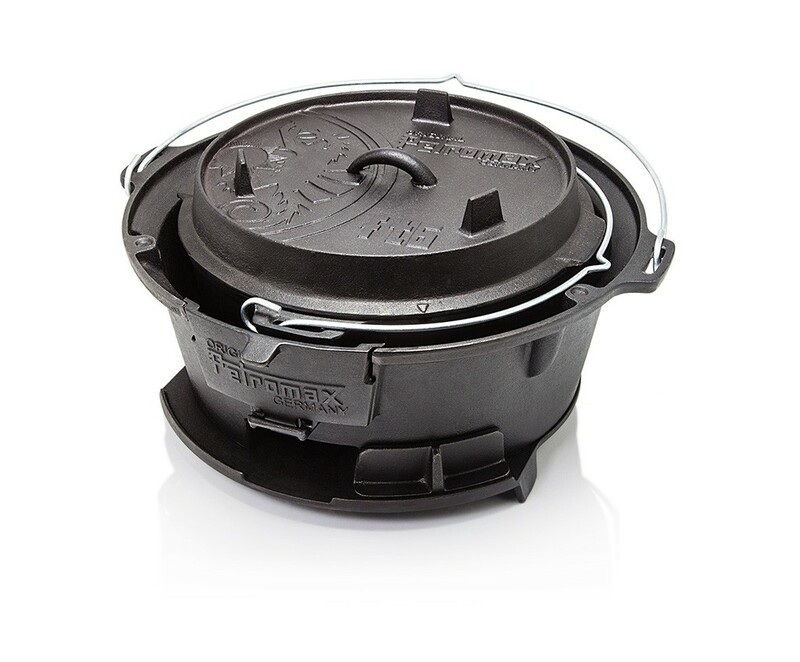 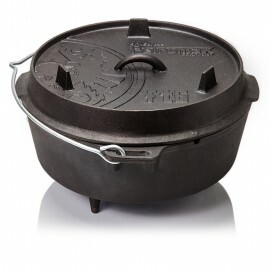 Also as a hearth for all Dutch Oven ideally suited to the use of coal and briquettes for cooking gently and efficiently. 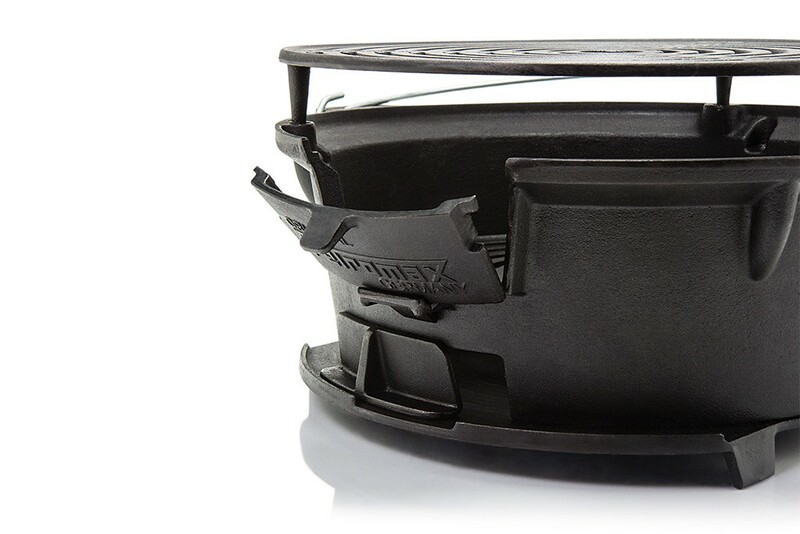 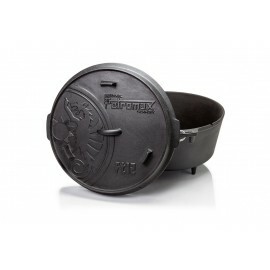 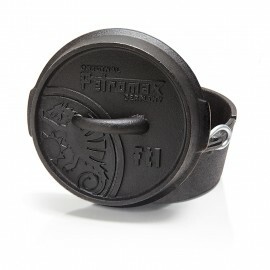 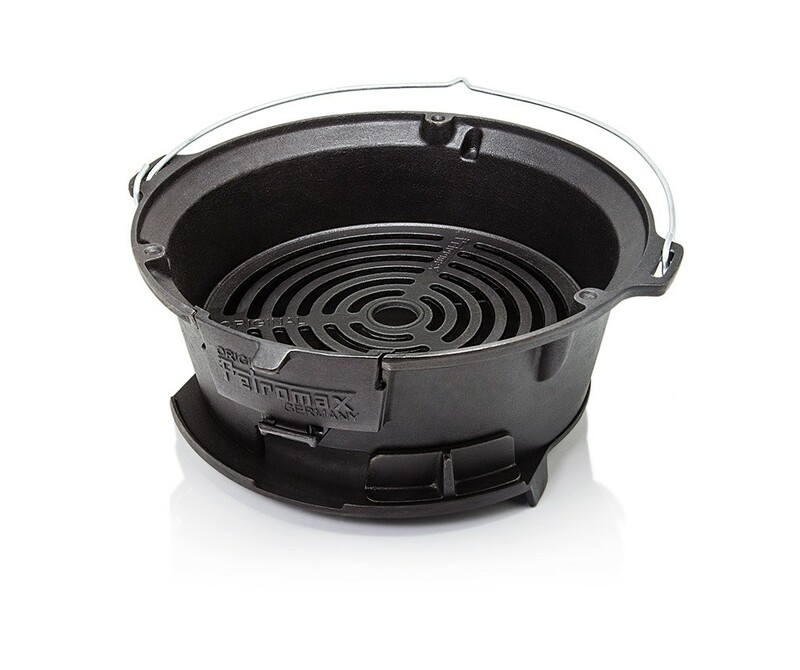 Anyone who likes cast iron will love the Petromax Fire Barbecue Grill tg3. 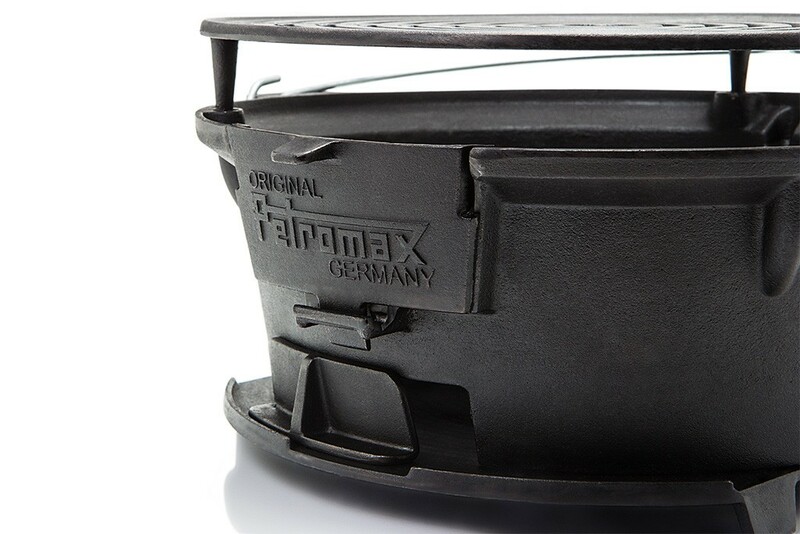 The height-adjustable grilling grate, the large air supply control and the handle make it not only a compelling grill, but also a perfect cooking area for your Petromax Dutch Ovens (up to size ft12). 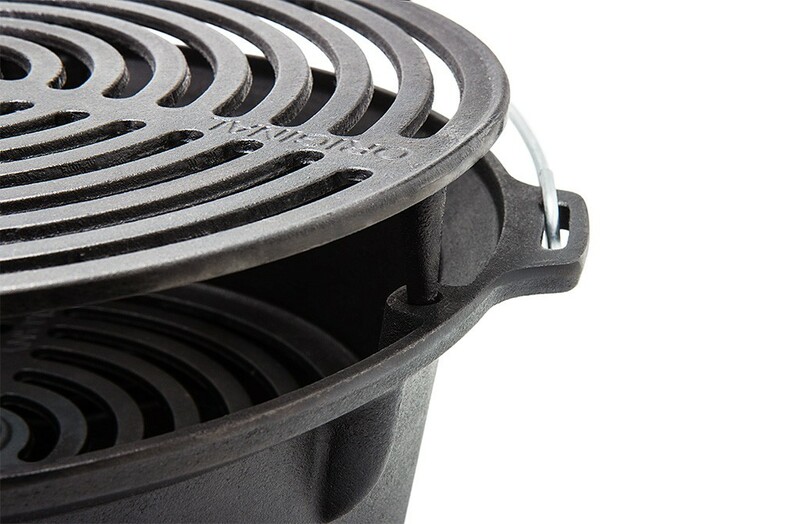 The naturally anti-adhesive effect of the cast-iron grilling grate is a crucial advantage, for it always gets hot when grilling. 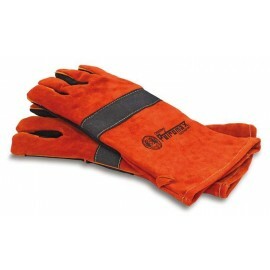 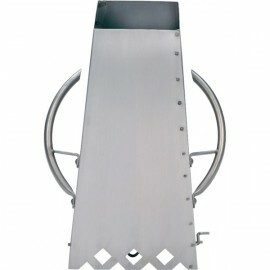 The fire barbecue grill can be lighted quickly and for a long time with coal and barbecue briquettes. 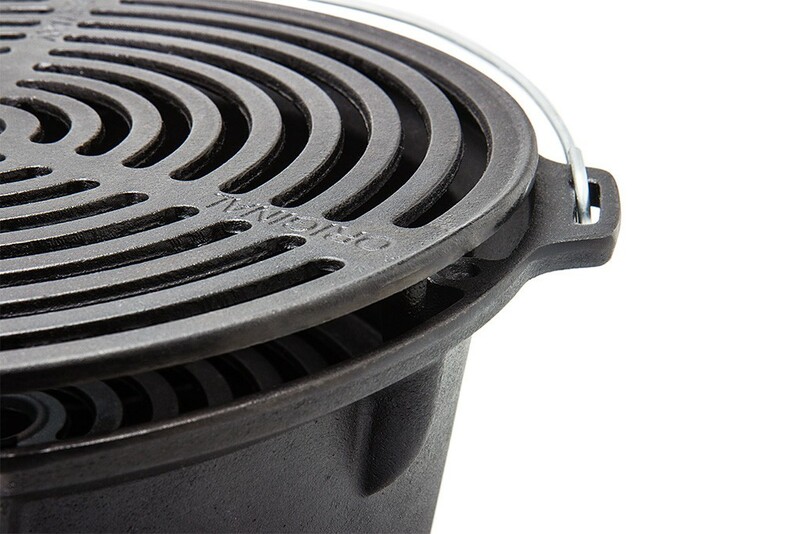 The fire barbecue grill can be combined with a Dutch oven, and cooking is then particularly energy-saving thanks to outstanding heat storage. 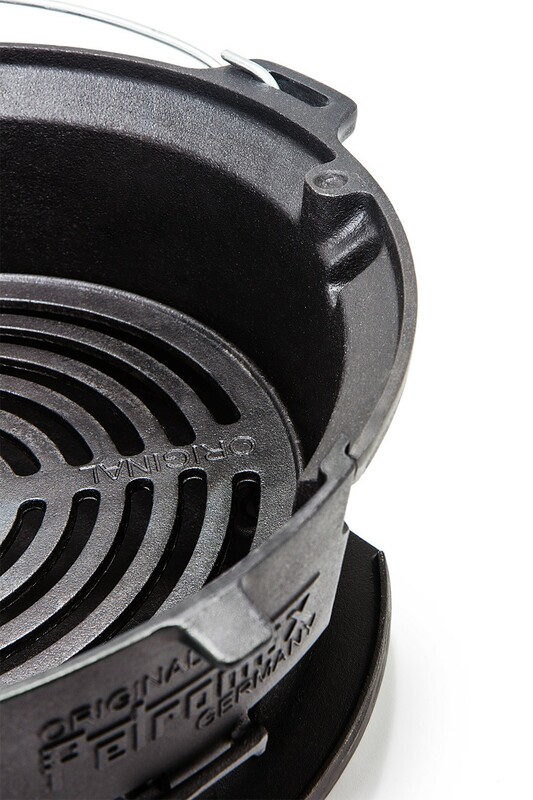 Thanks to the pre-treated surface (seasoned finish), you can use the tg3 immediately, without needing to season it first. 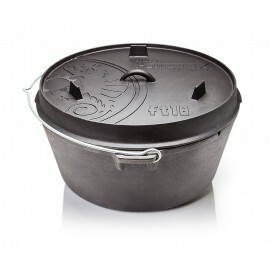 Sausages, meat and vegetables do not stick to cookware, and the anti-adhesive effect becomes stronger at each use. 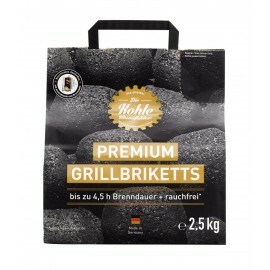 There are two levels for the height-adjustable grilling grate, and thus the distance between grilled food and briquettes or coal is to be adjusted as wanted. 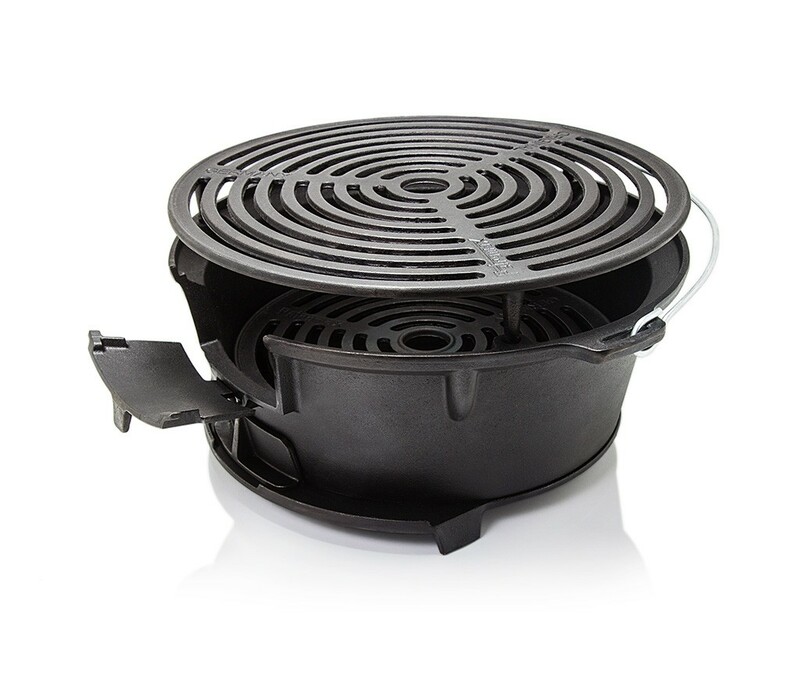 The removable flip down door, which can be opened at different angles, enables you to put some more briquettes and coal easily even while grilling without needing to remove the grilling grate. 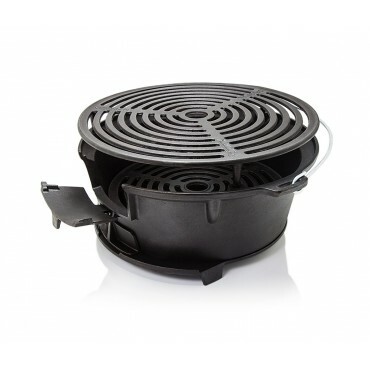 You can also move the large air supply control individually in order to speed up the heating, or else to control heat as wanted.